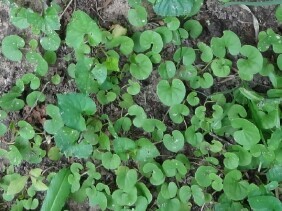 Carolina Ponysfoot is a common plant of gardens and lawns. 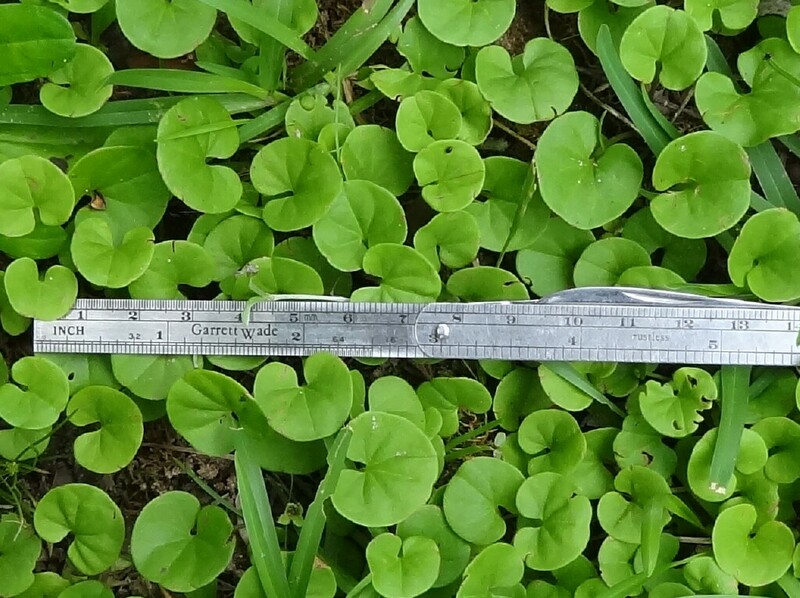 It is usually considered a weed, though it is sometimes used as a ground cover. 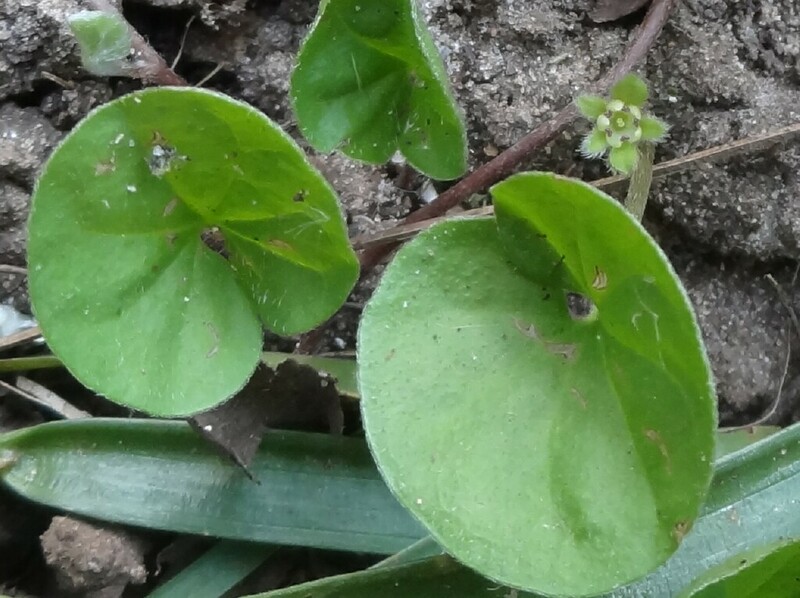 In my garden it is found in areas with a little too much shade for good grass cover. Compared to other weeds it is not very invasive. 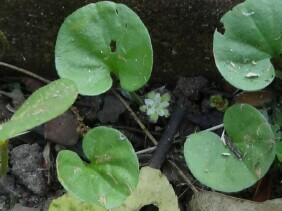 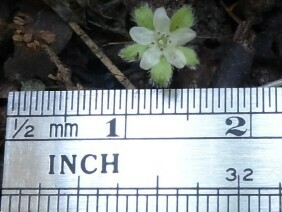 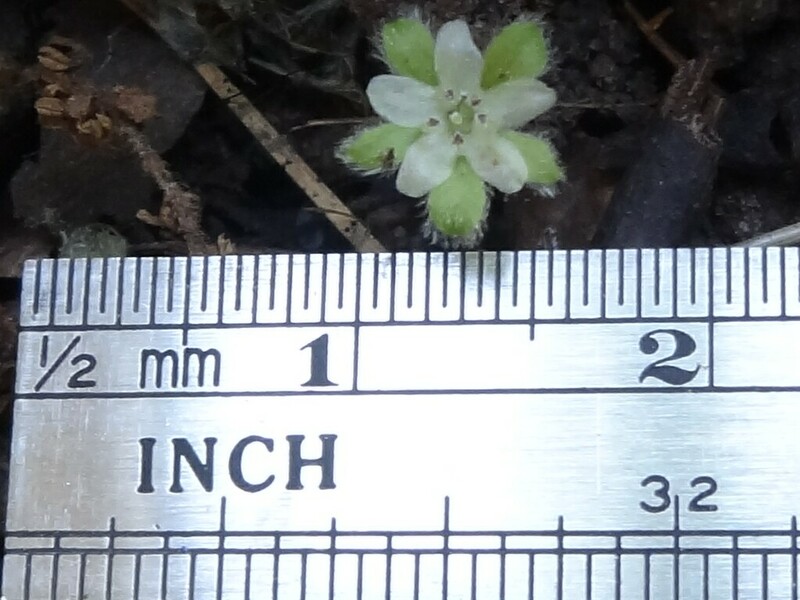 Note that the flowers are tiny and hard to spot even when present. 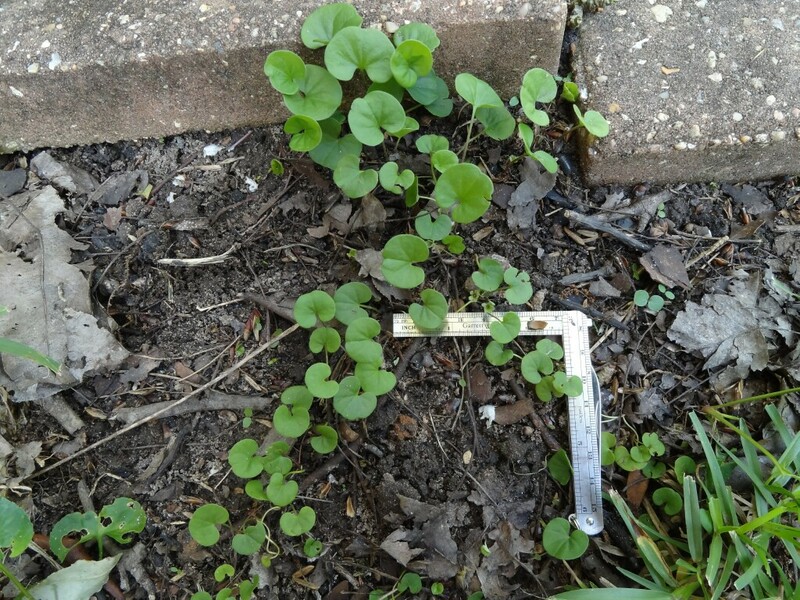 These plants were photographed in my garden in April.